match shooters ( but not new to the Wednesday matches) Max Steel and Captain R. Hugh Kidnme. We had two clean shooters today , myself and Captain R. Hugh Kidnme. Scores are posted. I must apologize for my mistake on the location of Cavaliers Sunday match this week. The match will be held in its usual location this month but will move location next month. Sorry, I got it back asswards. This Sunday May 6th. the Cavalier Cowboys are having their first Sunday of each month regular scheduled match. 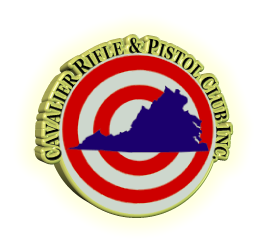 I know many of you will be at the Father Time match but for those that are not going, you can still shoot at Cavalier. Because of a special class being held on Bay 3 on that date, we will be shooting the match on the Bay 4 sites. Just pass the Saloon and park up the hill on the left. Gates open at 8:30, safety briefing at 9:45 and first round down range at 10:00. The stages for this weeks match were written by Mr. Ripsaw and are attached. What a great weekend to shoot a match. Five minutes of drizzle was the only drawback from an almost perfect weekend. I do hope everyone enjoyed themselves. Thanks to you, the Gunfight was totally worth all the hard work it took to have this event. You could not possibly have a more dedicated, harder working and fun loving group of cowpokes than the group that were here this weekend. All of you deserve a standing ovation. Here are the results attached and please remember to visit us next year. I sent the match info out on Sunday but for some unknown reason, it doesn’t seemed to have gone out. So trying again, the Cavalier Cowboys will be having their Wednesday match in two days on April 11th. Gates open at 10 am with first shot down range at 12 noon. Stages have been written by Cockroach and are attached. What an upcoming week, shoot on Wednesday, set up on Thursday and Friday, shoot on Saturday and Sunday.